• The Savannah Way is Australia’s Adventure Drive, linking Cairns in Tropical North Queensland with the historic pearling town of Broome in Western Australia’s Kimberley, via the natural wonders of Australia’s tropical savannahs and the Northern Territory’s Top End. 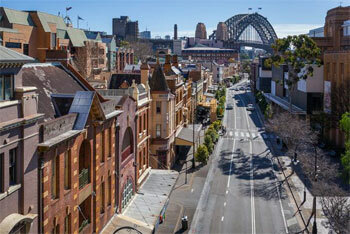 • The 3700 kilometre route links 15 National Parks and five World Heritage areas. You can explore just a section or cross the continent enjoying its wide horizons, ancient gorges and abundant wildlife, connecting with Aboriginal and pioneer heritage in today’s friendly outback. 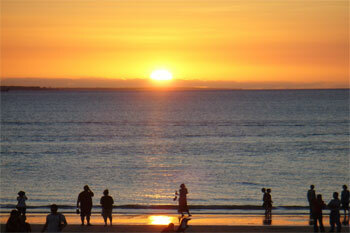 • The Savannah Way’s eastern point is Cairns, a popular destination surrounded by rainforest and reef. The route westward incorporates the Tropical Tablelands and Gulf Savannah. Sealed roads and towns in relatively close proximity make this a comfortable route for all vehicles. Of course there are plenty of side routes and loops including unsealed road adventures as well – most of these are well maintained roads with the occasional shallow creek crossing making four wheel drive preferable. Travel from Cairns into the cool Tropical Tablelands to explore some rainforest and waterfall walks. Pick up some local produce including coffee, wine and tea. Drop into the Visitor Information Centres en route to help choose your favourite Tableland experiences and a suitable venue to stay for a night or two. Just 25km south of Ravenshoe, on an unsealed road you can take a short walk to overlook the impressive 293 metre Tully Falls at Tully Gorge. Take a dip in the Innot Hot Springs and visit the Forty Mile Scrub National Park to understand the changing landscape. Turn west onto the Gulf Development Road (Savannah Way) and head to the Savannah Guide Station at Undara for a variety of tour options accessing the largest lava tubes system on earth. Head from Undara to Mount Surprise ask about fossicking with a guide or just a licence. O’Briens Creek is the most accessible site. Meet some locals at the pub after finding your treasure. Next stop is Georgetown to see the world-class mineral collection at TerrEstrial, and leave the bitumen to visit the majestic sandstone cliffs of Cobbold Gorge, a Savannah Guide Station located on a privately owned family cattle property. Stop for a break at the Cumberland Chimney. Built by Cornish masons, it is all that remains of a crushing plant for the surrounding gold mines. The waterhole here is home to abundant birdlife. Walk the historic streets of Croydon Historic Village and drive the 4km to Lake Belmore for a refreshing dip. Arrange your trip to include an experience on the Gulflander train (Thursdays Croydon to Normanton) then explore Normanton’s historic past. Spot Brolga, Jabiru and Herons between Normanton and Karumba before an afternoon’s fishing or cruising. Finish the day with a glorious Gulf sunset. *If you are returning to Cairns, consider splitting the highlights between your westward and eastward journeys and add an alternate route via Forsayth and Einasleigh. • It’s the iconic classic Australian adventure road trip! • Katherine is the central hub of The Savannah Way. It’s a great place to spend a few days, and provides easy access to other adventures in the Northern Territory’s Top End. There are many sealed routes available from here, as well as unsealed road experiences. 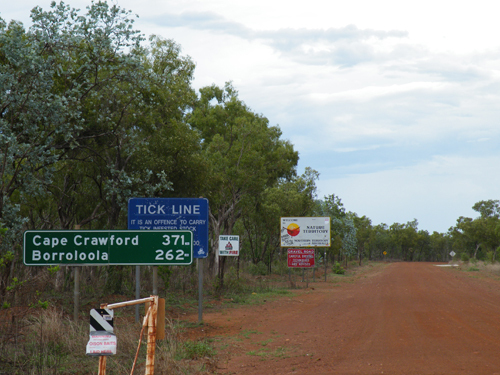 The Savannah Way east of Katherine involves such a choice. 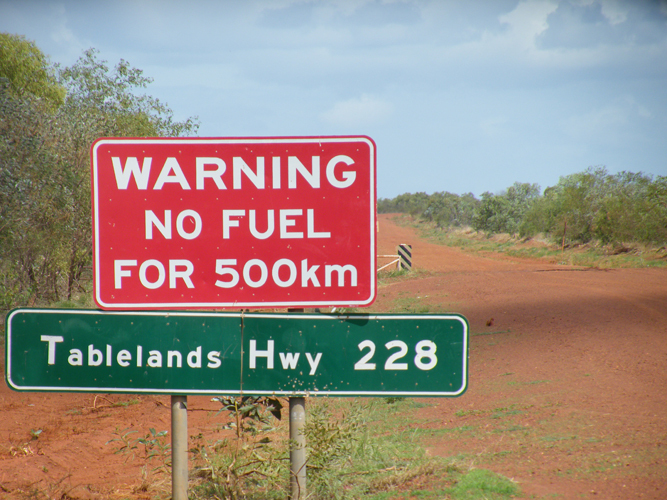 • Travellers in a two wheel drive or with a caravan can stay on the bitumen via Daly Waters and Cape Crawford as far as Borroloola and its great fishing. 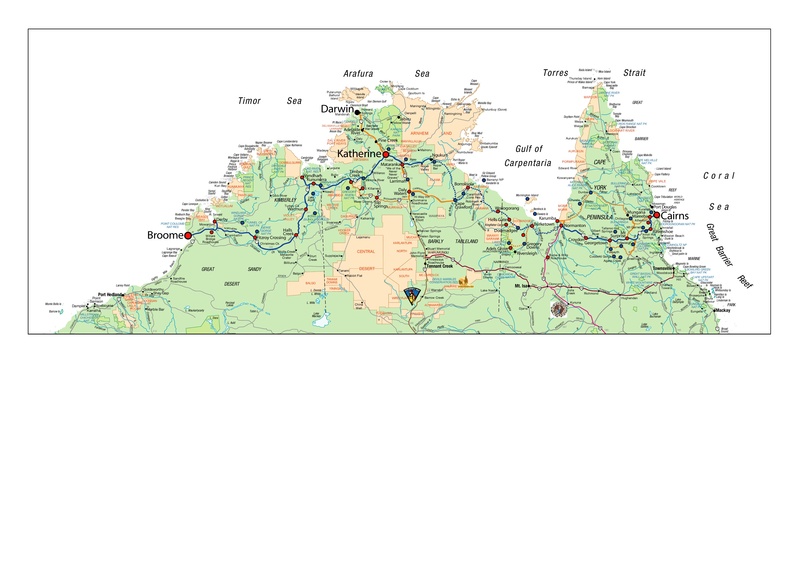 Two wheel drivers heading across the continent should look at travelling via Three Ways (near Tennant Creek), Camooweal and Mount Isa. Head north at • Cloncurry along the Matilda Highway to Normanton and Cairns for a fully sealed journey maximizing your Savannah Way experience. 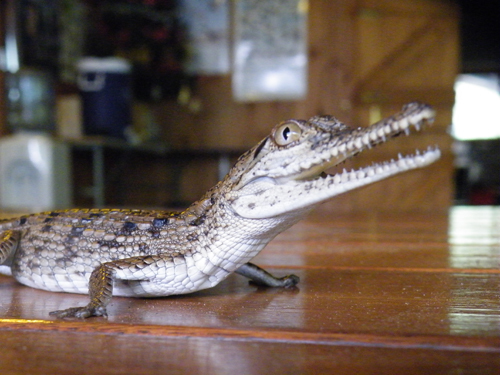 • Four wheel drivers enjoy the adventurously remote Roper Bar route or Borroloola to Burketown section of the Savannah Way for great fishing, unsealed roads with few town style facilities and some gorgeous riverside camping spots. This is periodically closed or for high clearance four wheel drives only. Please check road conditions before travel. See our Information for Travellers section here (http://www.savannahway.com.au/roads.html). • Lawn Hill Gorge is one of The Savannah Way’s icons, and combined with a visit to Riversleigh Fossil fields is a “must do” side route. Although unsealed this road is often open for two wheel drive vehicles. Stock up in Katherine then head south for a walk through Cutta Cutta Caves and swim at Mataranka thermal pools before a night at a classic bush pub in Daly Waters. 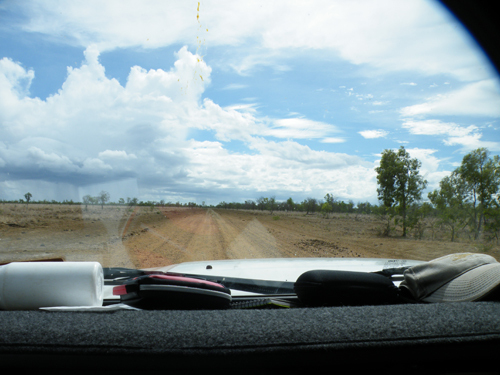 Sealed road today, with lunch at Cape Crawford and a walk at Caranbirini before refuelling at Borroloola. Remote driving to a lovely campsite. An afternoon canoeing and swimming! Head via Gregory Downs and Burketown, stopping at Leichhardt Falls for a walk. • Darwin to Butterfly Gorge a 4wd road trip Not the Buttefly Gorge in Nitmiluk this is in the Douglas Daly Region and when I went there were Monarch butterflies hanging off the wall and shout sent 1000's into flight I could see it 100's of metres away there were so many - I think it's seasonal though folks the butterflies ask at Top End Tourism visitors centre in Darwin before you go. Travel from Cairns into the cool Tropical Tablelands and sample some local produce including coffee, wine and tea. Drop into the Visitor Information Centres en route. Try a swim or canoe tour on Lake Eacham. Drive to Cobbold Gorge to cruise on the ancient waterway. There is always a good chat available at the bar here, too. The best timing would be to coincide with the Gulflander Train (Croydon to Normanton on Thursdays only) and share the riding and driving. 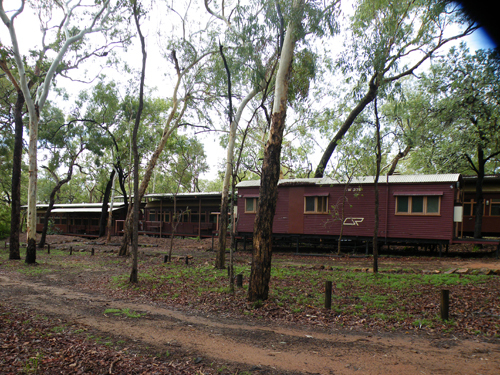 Drive back along the Savannah Way to camp at Leichhardt Lagoon (bush camp). Visit Normanton’s historic sites, ask about a short train ride from Normanton or wet your fishing line before a night of barramundi in Karumba. A sunset cruise on Ferryman Cruises will show you lots of birds and a great sky. On to Burketown for a little more fishing. 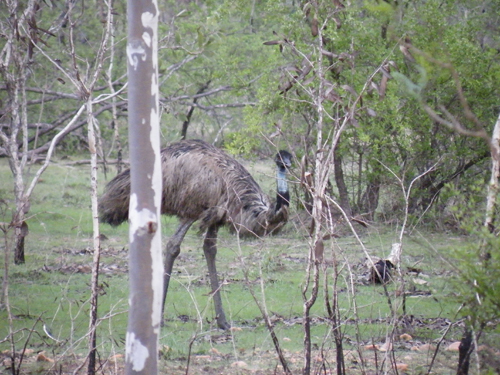 Explore Lawn Hill (Boodjamulla National Park ) walking and canoeing, based at Adel’s Grove. Check out the amazing fossils at Riversleigh. Time to Bush Camp at perhaps the Robinson or Cox River with no facilities. 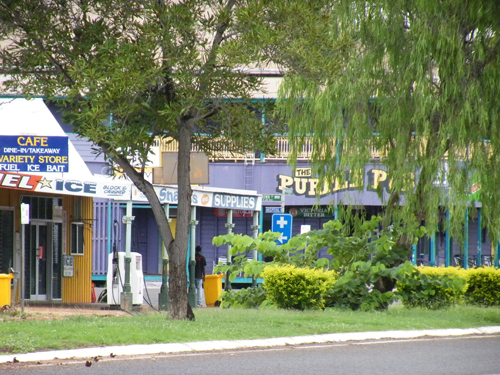 Borroloola has a supermarket and fuel, then relax at King Ash Bay … with a little fishing! Walk around Caranbirini National Park and consider a helicopter flight over the Lost City karst formations. An Aboriginal cultural experience, then finish in Katherine. The best canoeing takes a couple of days here, or enjoy just one at the gorge. 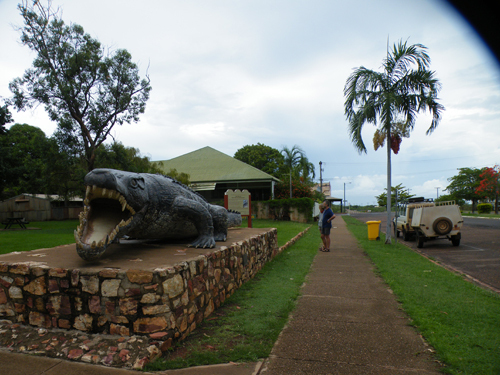 Explore the southern end of Kakadu, camping at Gunlom. Just one more night camping in the northern section including Nourlangie and Ubirr. Day 18 – Arrive in Darwin! Relax in the tropical capital after an amazing adventure.